Skin discoloration is a common skin problem, and this can come in the form of white spots, dark spots or other changes in skin color. 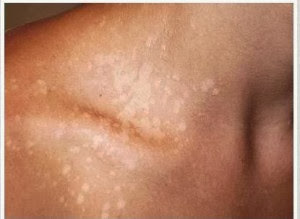 White spots on skin usually indicate a loss of skin pigmentation, and these may occur as small spots or large patches that may appear anywhere in the body, including the neck, shoulders, upper back, the shins, and the forearms. 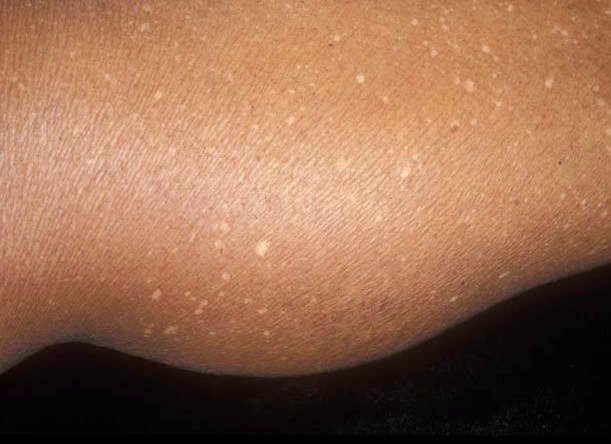 White spots on the skin do not usually cause pain, itching, or irritation, but they usually cause distress, especially in people with darker skin, where the contrast in skin color is more obvious. 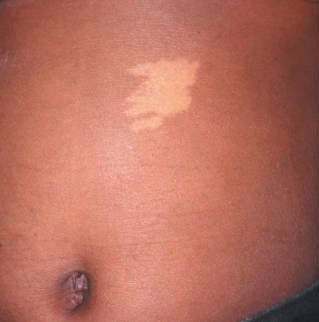 White patches that develop on many areas of one’s skin are usually caused by vitiligo. 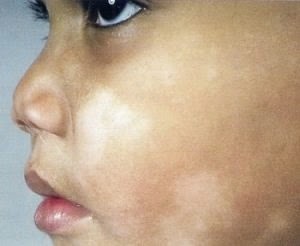 Causes: Vitiligo is a condition characterized by the loss of skin pigment called melanin, which is normally produced by cells called melanocytes. 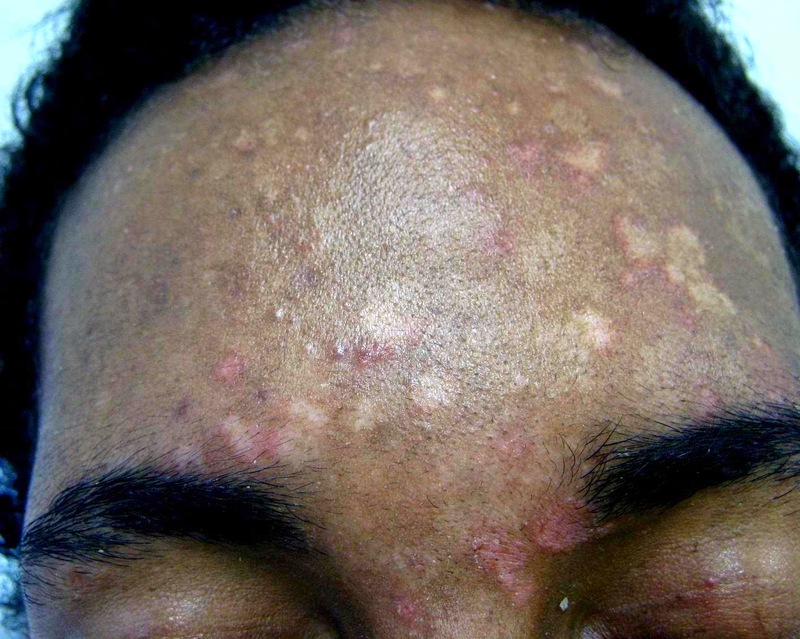 Discoloration is caused by the destruction of the melanocytes, but the exact cause is not known. One mechanism that has been proposed involves the body’s immune system, which destroys its own cells, which is characteristic of autoimmune disease. 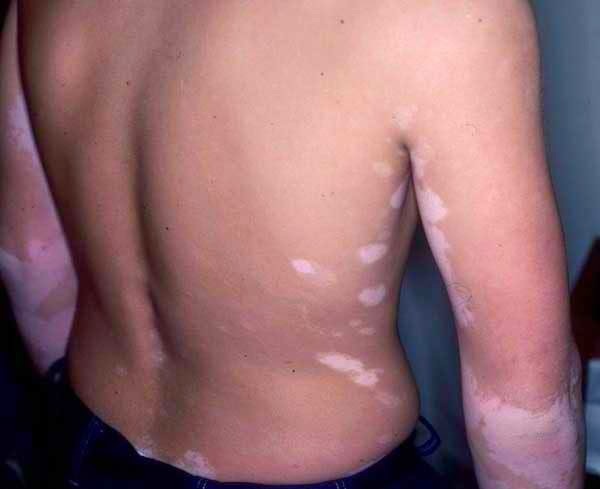 This common skin discoloration affects children and adolescents. This condition is characterized by the appearance of dry, scaly white patches on one’s face. 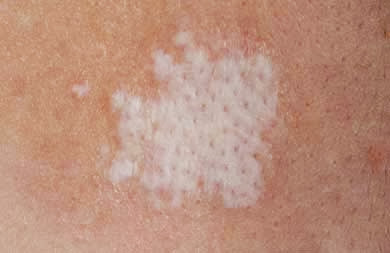 These white skin patches are more visible during summer because of tanning in the surrounding skin. In winter, patches become dry and scaly. 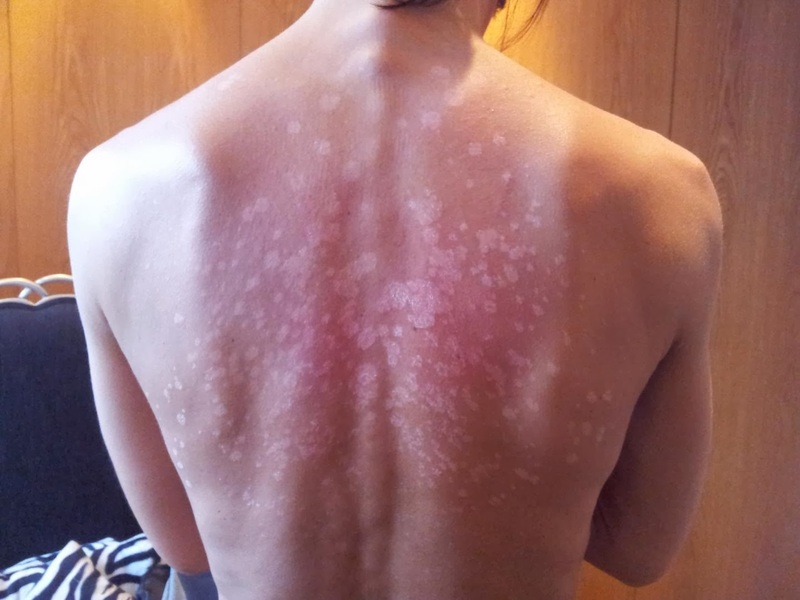 Raised reddish spots may appear and later turn pale, becoming smooth and flat patches. They are often found on the neck, shoulders, upper arms, and face. 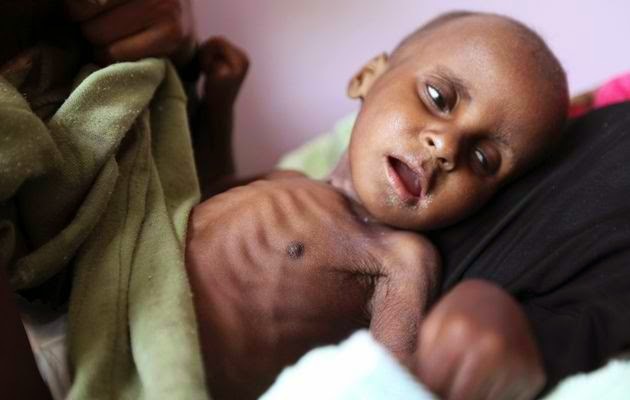 The cause is unknown.